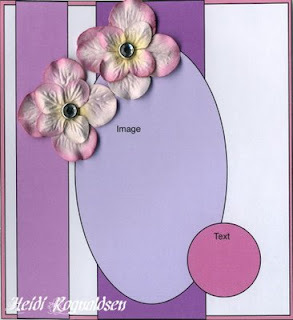 It's my turn to show a tutorial at Susana's store blog. It was not easy to decide on what to show - but then I realized - I have not made a criss cross card in ....yes - years! So just to refresh my own memory and maybe some of yours - visit Susana's blog and you see the full tutorial there. DP, ribbon and sentiment from SU. Center kisses and lace from stash. I cut out some flowers with my flower punch. 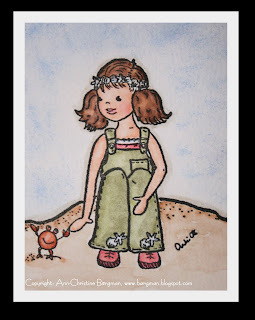 I stamped Young Cathrine with friends on aquarelle paper and coloured her with my SU markers and aquarelle brush. Used my nesties for the scallop circle for the insert. Added some shimmerz and stickles. Wish you all a wonderful Friday. I will be away from the computer the whole day tomorrow, since we are going to have our very own little scrapevent here in my village. It's going to be a rather small event, but so fun. This card is goint to be sent one of my closest friends. She lives in Chicago, so we can not meet up as often as I would like to - but we will always remember our fun years living in Zürich - going downtown for coffee and shopping. That's why I think this little Miss Anya from RoP fits perfectly - don't you think? I decided to make a card with Julia with flowers using the soft DPs from Laura Ashley as the background. That's why I for once (you know that I like strong colours by now ;-) coloured her also with soft colours. I also wanted to use my new nesties - love them and also the new shapabilities - here you see the heart. I chalked the edges so that they would "pop" out more. Added scrappers floss with the cute little heart charm from Blue Moon. Of course I needed to use my heart punch from SU again (it's so new so I need to use it over and over again....hihi.......). Sentiment from SU as well, but the heart is cut out with my shapability. Skin Tones, Blonde Hair 2, Brunette Hair 1, Basic Blue Jeans, The Reds and Landscape 1. And yes -there will be additional bundles added in the future! 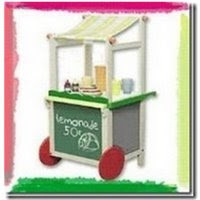 Please check out the rest of the DTs creations on Susana's store blog. PS. If you want to play along - upload your project on PCP or SCS with the keyword "TIOT7". Just a quick post from me, since I need to be in bed early today (tons of work ahead in the office tomorrow - so I better be up bright and early.....). Anya is coloured with copics. Cardstock and ribbon from SU, flowers from stash as well as spacers. The wonderful DPs from the Basic Grey paperpads - just can't get enough of them. Hope you have had a wonderful weekend. They are gone too fast - as always. Today my sweet Dad turns 65 - so Happy b'day Daddy!. We celebrated him yesterday - which was fun. I was so happy that I got the time to ink up the sweet Miss Anya's from RoP. I think they are just perfect for teenagers and those of us that feels like teenagers ;-)) Coloured her with copics. CS from SU and DPs from the lovely Basic Grey paperpads. Sentiment from SU. I also got to use my new nesties from Susana's and the corner shapabilities. Love, love, love them. Dew drops from RoP and heart charm from stash. I chalked the edges - not sure if you can tell. And - I almost forgot - I got to use my new heart punch from SU. One day closer to Friday!!! Hurra!!!! Then I hope to be able to create some more cards - actually I need to finish one tomorrow, since my Dad turns 65 on Sunday. I haven't figured out what I will do for his card or project. I have however challenged myself to use the colour blue on the card above - not a colour that I use much. Don't know why, but that's how it is... 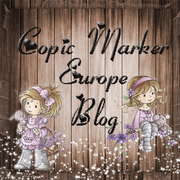 I decided to use little Emilia with Heart from Anki's Sweethearts as my image (yes -I need to try the stamps myself of course...hihi...). Coloured her with copics and added stickles for highlights. DP from a Swedish company called Inkido. I'm not sure if you can see what it says - but it's a lot of Swedish words like Kärlek(Love), Kram (Hug), Förälskelse (In love) etc. Sentiment and ribbon from SU. I also got to use my very new punch from SU to cut out the three hearts with. Loved it! So an extra thank you to my sweet SU supplier - Elizabeth! Flowers and lace from stash and yes - I added a pearl heart as well. Well - to all my visitors - I love you much! Finally I got some time to play with Heidi's lovely sketch for this Friday Skechers Challenge. I have longing to participate for quite some time now, but have not had the time. 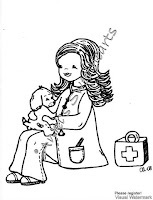 I decided to use Cathrine the Vet as my image from Anki's Sweethearts (and yes it is fun to colour your own illustrations...hihi....). I cut her out with my nesties. Used Shimmerz around her. DP layers from SU as well as the ribbon. Flowers, dew drops and spacers from stash. I also used my SU punches for the sentiment. Well - I hope you'll like it. Now it's bedtime over here so: Natti, natti! This weeks Try it out Tuesday is to make anything but a card. I decided to make a gift bag - I love these, but it's been such a long time since I actually made one. I saw this gift bag tutorial the very first time by the very sweet and talented Angie Juda. It's such an easy gift bag to make, but so useful. DP, sentiment and ribbon from SU. Young Cathrine available at Susana's - of course - . I also added Bella Baubles for a little bling. Nesties are a must - and I hope you have not missed that Susana has them in her store? As usual - if you want to play along - then upload your project on PCP or SCS - using the keyword "TIOT6". 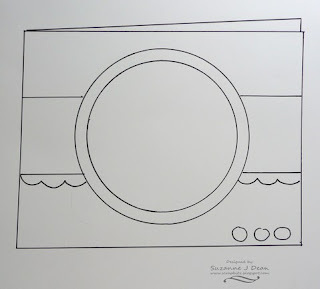 Please check out the rest of the DTs projects on Susana's store blog. This weeks challenge at RoP is set by our very talented Lim. The theme is either Love or Friendship. The winner of this challenge will get the cute and fun Rock the Farm set by Greeting Farm. You have until March the 1st to enter - so no rush, but don't forget to enter. I decided to use the Angel Anya for my card and coloured her with copics. Shimmerz as her rouge ;-) DPs are from SU, sentiment from SU. Charm "Follow your heart" from my sweet friend Marlene. I hope you'll like it and please check out the rest of the DT cards this week. I am sure your going to love them. Actually - it's a little bit early to say Happy B'day, but Alex and Malin turns 3 early March and I needed to finish the card for them now - since they will be on vacation for a couple of weeks with the rest of their family. I can't wait until they will be back here in Sweden again this summer (they live with their Mom and Dad and 2 older brothers in Vienna. Their Mom is my darling cousin Helené (we almost grew up like sister's - since she is only 7 months younger than me). It will be so fun to see them play together with Isac. Isac talks about them and vice versa - even though we live far apart. So for this card I decided to use Young Julia with Purse and Isac with skateboard. Malin loves to change clothes and dress up and Alex - well - I thought he would like the skateboard as much as Isac do...hihi.... DP, Cardstock and Sentiment "Hugs and kisses" from SU. Coloured with copics and highlights with some stickles of course :-) Ribbon, dew drops and lace from stash. I also would like to thank you all for leaving such sweet comments about my very first set of illustrations. You really made this weekend special for me and my family. I wish that your dreams will come true some day as well! Ladies - here they are - please meet "Anki's Sweethearts". You have already seen the painting in my prevoius posting "Felicia and Crabby". Here are the rest of the Anki Sweetheart's collection. Please do let me know what you think of them. Kramisar and thank you for sharing this wonderful time with me. Alicia All in all there are 10 stamps that are available today at Susana's. Finally I can tell the world!! If you have been checking Susana's site and the rest of the DTs - then you know that today is the day to reveal who the new artist/illustrator for her shop is. Well- finally I can tell you - it's me!!! My line is called "Anki's Sweethearts" and are exclusive for Susana's Custom Art and Card Design. The above picture is the painting that I have donated to Susana for her PCP candy. It's called Felicia & Crabby. This whole adventure started when Susana found my blog and we started to exchange emails. We became such good friends. I dared to ask her to have a look on my own sketches and give me her honest opinon. She liked them and that's when this whole adventure started! I will be back and share some pics with you this afternoon - so please check in again. And ladies - please be honest - I want to hear what you think and which one that you like most. Thank you so much ladies for always being so warm, supporting, generous.... The list can go on and on. I do so appreciate that you take your time to leave a comment here for me to read and to brighten up my day. I have said it before - but I will repeat myself (maybe I'm getting old...hihi......) The world would be a much better place if it was ladies like yourself in charge. You all rock! I made this card on the scrapevent last weekend - but I think it fits perfect with what I wanted to tell each and one of you visiting my blog. Cardstock, DPs, Ribbon and Sentiment are from SU. The little Anya from RoP is coloured with copics. Shimmerz added to her wings. The pearl hearts are some that I purchased at the scrap event. I also added some Bella Baubles as well. I have also received this sweet award from Jane - thank you Jane for passing it on to me. 2. Nominate at least 5 blogs, which show great Attitude and/or Gratitude! Be sure to link to your nominees within your post. Well - as you might already understand - I can not only pass this on to just 5 to show my Gratitude. Therfore I pass it on to all of you that visit my blog and always put a smile on my face with your sweet comments. Have you read the news on Elisabeth Bell's blog? No? 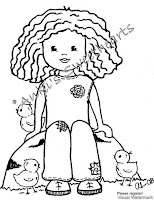 Well - she is making new illustrations for stamps to 4 new companies and guess what - I'm a DT for 2 of them.. Yippie!!!!! She will design exclusive lines for Susana's and for RoP. Susana and Summer - I love you!! Thank you for letting me part of these 2 wonderful DT teams. Elisabeth - your creations are such an inspiration and to die for ;-) Can't wait to see what you have created. So here's to Susana, Summer and Elisabeth! It's raining love from Sweden to you! Have you seen the cute Kyra? I thought she would fit perfectly for this weeks sketch- set by our lovely Suzanne. I decided to turn the sketch around a little bit, but I hope that you still can see it. I wanted to create a little scene and the DPs from the Dovecraft Fantasy set and Laura Ashley Contemporary set were just perfect for this. I coloured Kyra with my copics and highlighted some spots with stickles and her wings with Shimmerz (that's what the flash reflected against.....). Shimmerz and stickles were also used on some spots on the DP - as you hopefully can see. Bella Baubles were added as "blings". Ribbon and Rub-on from my Stampin Up stash as well as the white lace. I hope your week has started well and that you will have time to play with Suzanne's sketch. 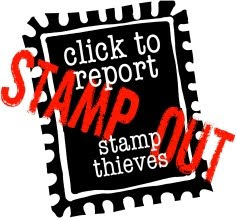 If you decide to - please make sure that you upload your card on PCP or SCS using the keyword "TIOT5". Also - make sure that you check out the rest of the DTs cards at Susana's blog. Looking fwd to see your creations and read your comments. I also made this card at the scrapevent. The papers are from Roses on Paper - I love these DPs - and thought I could use them now - even though it's not X-mas time. Decided to colour Charlie from WoJ with my SU markers (stamped him on aquarelle paper) and aqua brush. Sentiment and ribbon from SU. The little snowflake is one that I got from my sweet friend Marlene - thank you again dear! I highlighted the snowballs with Shimmerz from Susana's. Yesterday I visited a scrapevent in a town 1 hours drive from here - Alingsås - with my sweet scrapping friend - Ulrika. We had tons of fun and it was so nice to be able to create some cards and just be served a snack or meal. A huge thank you to the ladies from Stämpelboden who arranged this perfect day! So finally I have some cards to show you and first out is this card with Jane from Susana's. I received lots of comments and questions as of where I got this image. Some ladies thought that she would be perfect for a jewellery box that they planned to make. Well - I agree - she would fit perfectly. I decided however to use her on my card together with the lovely DPs from Laura Ashley together with the Bella Baubles and some new pearl hearts that I found at the scrap event. Jane is coloured with copics - I really start to enjoy colouring with them now - need to practis more though.... Sentiment from SU. Ribbon from stash. Susana launching a completely new illustrator to the stamping world. The launch party takes place at PCP. So check it out for all details and also submit your answers to the puzzle piece quiz - "What do you think the stamp image is?". The new illustrator will be revealed on Feb 13th - so stay tuned ladies. Kramis and hope you had a fab weekend too! This week we received the task to create a card for Valentine - using a stamp that you would not directly associate with Valentine's Day. I decided to ink the cute little Daisies Shy Bear from Susana's. He's been waiting for some ink since a couple of weeks ago - so I heard him calling for me ;-) The lovely DP from Laura Ashley had to be in the background as I let him take the center stage! I coloured him with my copics - added some Shimmerz (angel white on the flowers and coffe for his fur) and stickles. Ribbon and text from SU. Flowers and heart from stash. Bella Baubles from Susana's. If you would like to participate - then upload your card on PCP or SCS - use the key word "TIOT4". 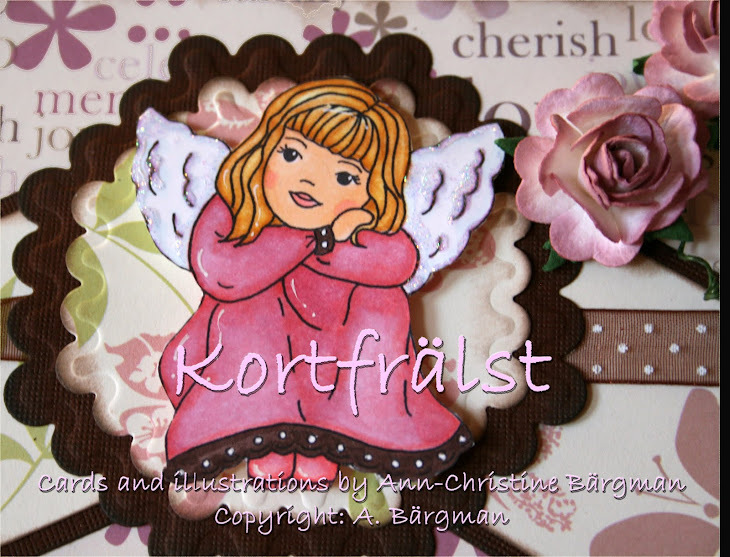 Looking fwd to see your cards and don't forget to see the other DT cards on Susana's blog. Well - now you better start with your Valentine Cards and hopefully this weeks challenge at RoP will get you started. This week is hosted by my sweet DT friend Peta in Australia. She is having a heat wave down there and I think that's why she want us all to be feeling some warm love ;-) The challenge is to make a Valentine Card and use the masking technique. For more details - please check our RoP Challenge site. I hope you will find the time to create a stunning card for this weeks challenge. Why does the weekends pass by so quickly??? Oh - I wish it would be longer, but at least we have had tons of fun and (cross my finger) we are all well now. Isac wanted to help me today (when he saw me in my craft room). Of course he could - so here's our result (me trying to practise colouring with my copics (still need that blender + more colours, but I had fun anyway.....). Isac asked me who I made this card with the little dragon on - and I said that I did not now yet - then he said - it's for me Mom (so he really liked it). He helped me with adding on the buttons, flowers and cutting the ribbons - not bad for a 2.5 year old...hihi.. The images are the one's that I received from the sweet Renata - thank you dear! Oh -I also need to tell you - Susana's Custom Art & Card Design is having a great Web Candy over on her PCP group site. You can get a $25 gift card to her store and Rubber Romance stamps signed by Robyn Ireland(illustrator/owner) herself! So don't miss this opportunity - find all the details HERE!